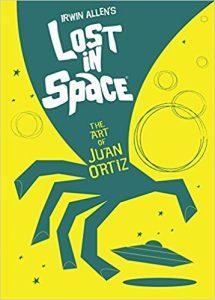 Lost In Space: The Art of Juan Ortiz is now available for pre-order! This book contains all the retro-styled posters for all 84 of the classic Lost In Space episodes. 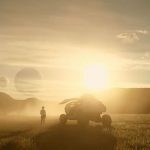 The artwork may look familiar, as Juan Ortiz has also created posters for the original Star Trek series as well. This art book comes in hardcover and is available August 7, 2018, but you can pre-order now. Want some idea of what's in it? Check out our post about the character posters also included in this collection.